ffered by more than 200 hectares of mountains, viagra usa cialis sale valleys, and even a lake. Living here is almost like having a home in a nature reserve, with nearly 700 residences spaciously laid out amongst an abundance of trees and greenery. Families can take their children to any of three well-maintained playgrounds with slides, swings and other recreational equipment. Homes and occupants are protected by 24/7 roving guards and secure entrances to the estate park. Secluded from city noise, luxuriate in peace, with little more than the sounds of birdsong and the chirping of crickets to disrupt the quiet. 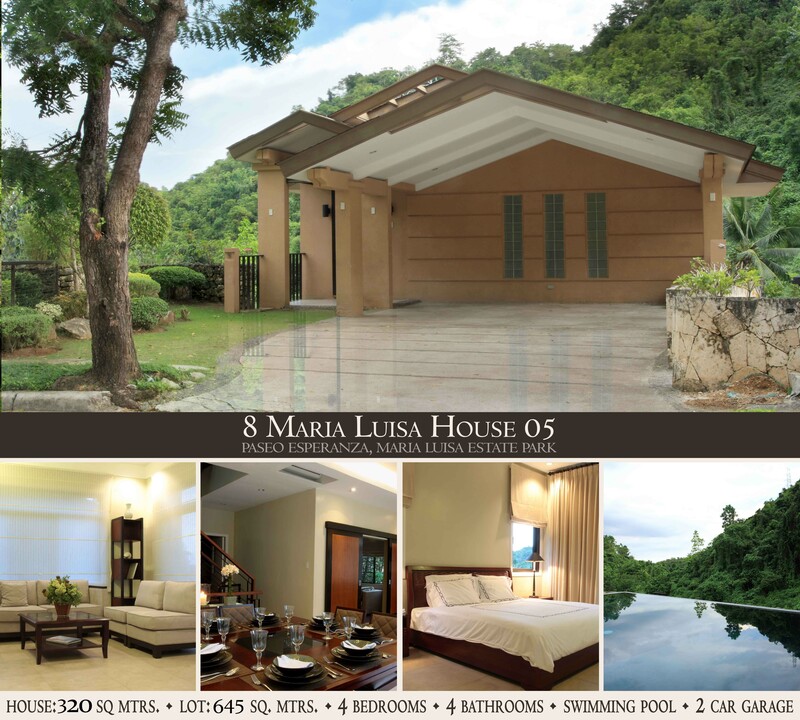 As a subdivision where some of the city’s most desirable properties are located, Maria Luisa Estate Park enjoys the reputation of being one of the most exclusive neighborhoods in Cebu. Enjoy the beautiful views and fresh air of the lush, quiet hills of Cebu, while being only 10 minutes away from all of the city’s conveniences.